Stay elevated in this sturdy tree stand. 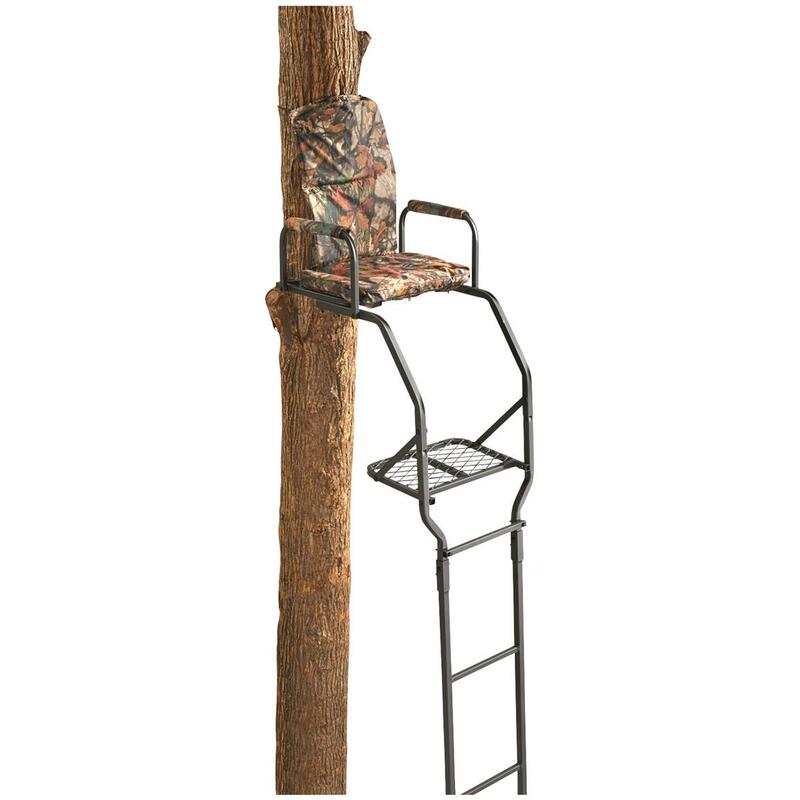 A streamlined Tree Stand fro Guide Gear with all the extras you want, like a padded seat and armrests, and none of the stuff you don't. It's the perfect perch for gun or bow, and weighs only 52 lbs. so you won't break a sweat during set up. Includes fall-arrest safety system, 1 ratchet strap, and 2 stabilizer straps. Built to Sportsman's Guide's exact specifications, Guide Gear stands for dependability, long-lasting quality and unmatched value! Platform Dimensions: 17.25"w. x 12.5"d.
Seat Dimensions: 19.5"w. x 13.5"d.